Lilbourne Lad confirms his class with a second place in the Group 1 Middle Park Stakes on Newmarket Future Champions race day. A model of consistency all year being never out of the first four and winning three of his eight races to date, Lilbourne Lad proved yesterday that he is indeed one of the leading juveniles of 2011. 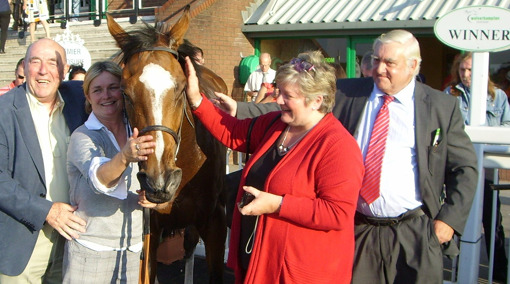 He was purchased during this season by the Cashmans of Rathbarry Stud. 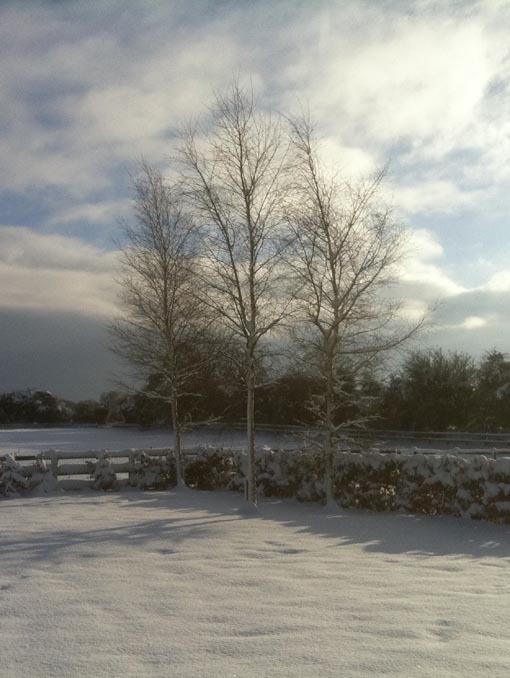 It is one of the most famous stallion farms in Ireland. Rathbarry also stand his sire Acclamation who is having a sensational year with his progeny on the racetrack as well as in the sales ring. There is so much demand for his services currently, that the decision was taken to retire Lilbourne Lad at the end of the year in order to stand him alongside his sire for the 2012 stud season. 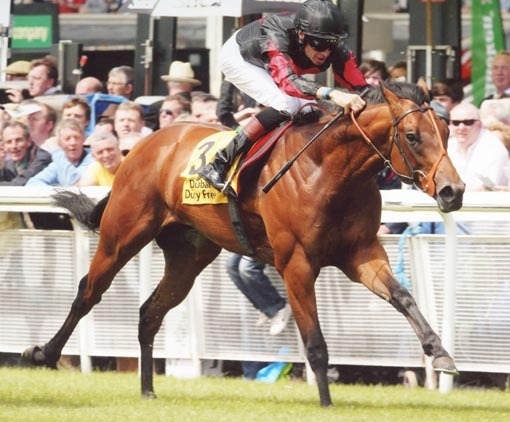 Lilbourne Lad winning the Railway Stakes, Gr 2 on Derby Day at the Curragh - what a highlight for Swordlestown Little! The Yearling sale season is in full swing with Tattersalls Ireland, Goffs Orby and Newmarket Book 1 Sales already over. We are pleased to report that our Cape Cross colt out of Khatela has found a new home with Spanish trainer Mr Delcher Sanchez. Further sales news is that Bahceli has been sent to Hong Kong and will hopefully earn some black type for his little 2011 sister by Acclamation. After many placed efforts, Lady Barastar has now won a race. This was our 8th winner of the season and represents a best for Swordlestown Little to date (and the season is not over yet.....). Lady Barastar will have one more run before heading off to the sales as her trainer Walter Swinburn is handing in his licence at the end of this months. This is sad news as he is clearly a very patient and capable trainer, just as he was a top class jockey. 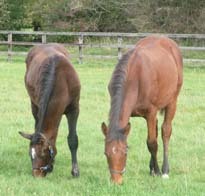 He will be forever remembered for partnering Shergar to a breathtaking runaway Epsom Derby win when Walter was still a youngster. The focus has now shifted to our 2011 foal crop headed by Sogno Verdes Mastercraftsman filly, who no doubt will be one of the star attractions at the November Sale in Goffs. 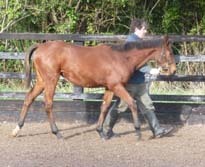 She been weaned has has started her sales preparation alongside the Marju colt out of Khatela. 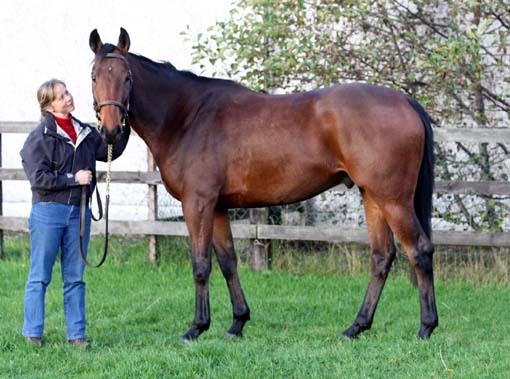 Three year old gelding by Old Vic ex Miss Lloyds. He is broken and riding and is for sale.